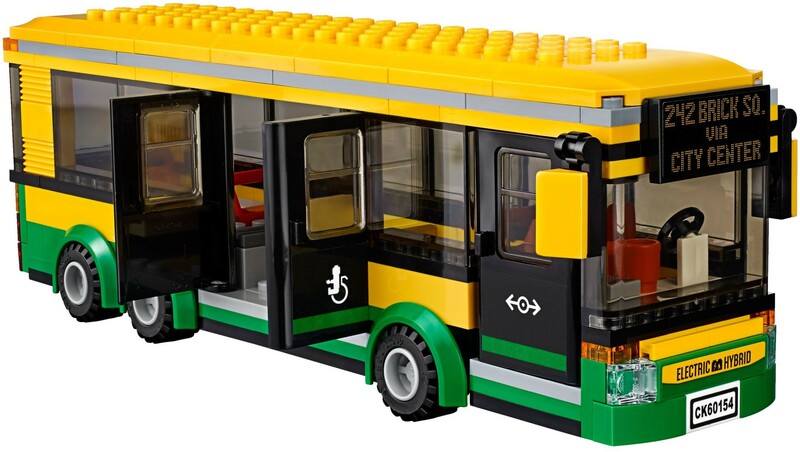 Join the other passengers for a quick and easy ride on the LEGO® City Bus. This cool model features opening front and side doors, a bike rack on the front, seats for minifigure riders, luggage storage space and room for a wheelchair inside, as well as a bus stop with a bike stand, trash can, waiting area and ramp, plus a newsstand with newspapers, fruit and drinks for sale. 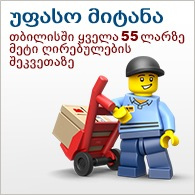 Includes 6 minifigures and a dog figure. 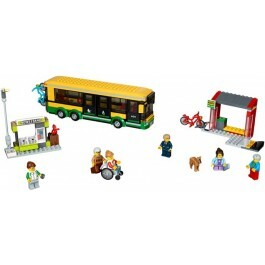 Includes 6 minifigures: 2 bus passengers, bus driver, newsstand worker, newsstand visitor and a wheelchair passenger, plus a dog figure. 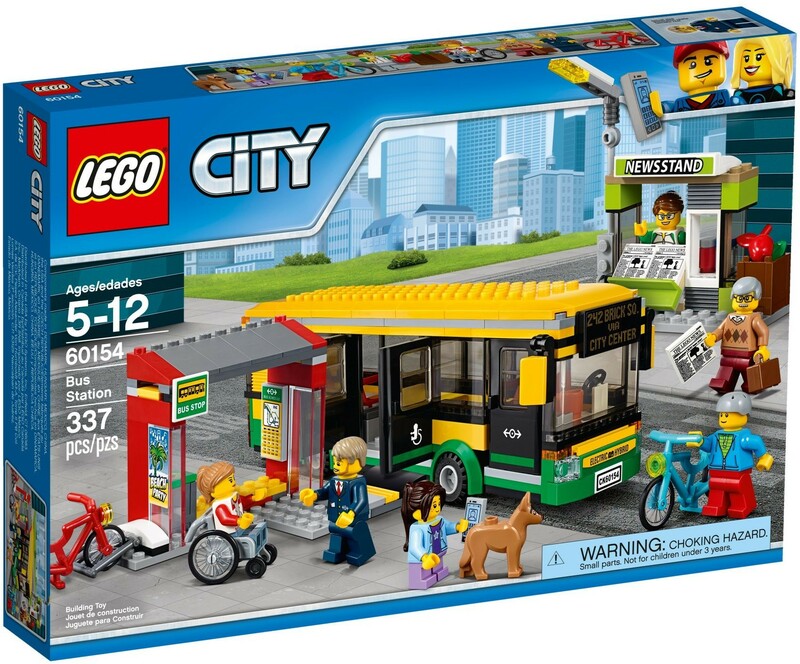 Features a city bus with opening side and front doors, bike rack for 2 bikes on the back, and space inside for 4 minifigures including a wheelchair passenger. Also includes a bus stop with waiting area, bike stand, trash can and ramp for a wheelchair, plus a newsstand with an open shelf and space inside for a minifigure, as well as a buildable streetlight. Visit the newsstand to buy a paper and cold drink. Park your bike in the bike stand while you wait for the bus to arrive at the bus stop. Push the wheelchair up the ramp to enter the bus. Accessory elements include a briefcase, fruit, 2 drink elements, 3 newspaper tiles and a buildable wheelchair. City bus measures over 2” (7cm) high, 9” (23cm) long and 1” (5cm) wide. Bus stop measures over 2” (7cm) high, 3” (8cm) wide and 3” (8cm) deep. Newsstand and streetlight measures over 5” (13cm) high, 1” (3cm) wide and 3” (8cm) deep.